A state commission will report to the Legislature, which could craft legislation to protect fisheries. A new state commission this summer is gearing up to study ocean acidification and its impact on shellfish. The commission – the first of its kind on the East Coast – was created this year by the Maine Legislature. The 16-member panel was announced Friday at a news conference on the Portland waterfront that included U.S. Rep. Chellie Pingree and state Sen. Chris Johnson, D-Somerville. 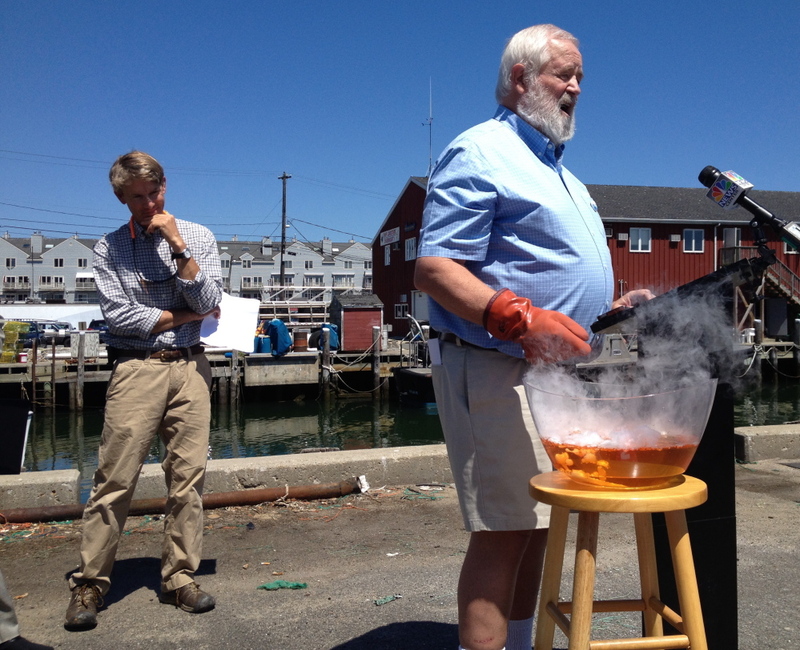 Pingree, who last month introduced a bill that would require federal officials to study the effects of ocean acidification on coastal communities around the country, said scientists don’t fully understand how acidification would affect the lobster fishery. “We know what’s causing ocean acidification but now we need to better understand how hard it is going to hit coastal economies,” she said. The U.S. Environmental Protection Agency estimates that about one-third of carbon pollution is absorbed by the ocean. However, local sources of nitrogen pollution make matters worse, said one of the commission’s members, Joe Payne of Friends of Casco Bay. Runoff from city streets and fertilized lawns, sewage and stormwater overflow send nitrogen into the ocean, where algae blooms release even more carbon dioxide into the water and mud, he said. Payne said waters near shore that are habitat for shellfish have the highest levels of acidity. He has identified 50 mudflats in Casco Bay that have elevated acidity levels. Some of them have acidity levels so high they can dissolve baby clams, he said. Eric Horne, an oyster farmer from Freeport, said he’s concerned that rising acidity levels will make it impossible for him to raise healthy oysters. “The change in ocean chemistry is such a real issue. It’s something we really need to band together for,” he said. 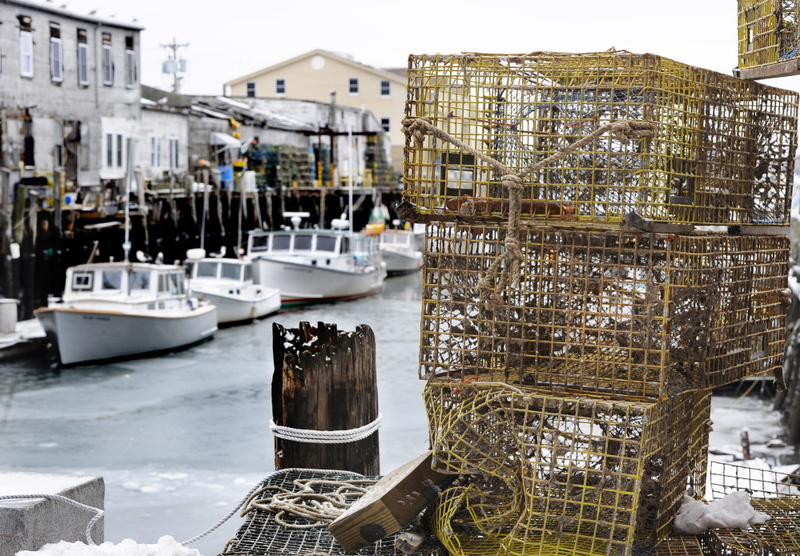 Although the problem is invisible, it could potentially destroy valuable fisheries and put a lot of people out of work, said Johnson, the state senator. Washington is the only other state to create a similar commission. The Maine panel includes five legislators, three state officials and eight members of the public. The commission is scheduled to meet a minimum of four times and must complete its work by Dec. 5. It will report its findings to the Legislature’s Marine Resources Committee, which is expected to consider crafting a bill based upon the commission’s work. Johnson and Rep. Mick Devin, D-Newcastle, a marine biologist who sponsored the legislation creating the panel, will serve as co-chairs of the commission. In addition to Payne, the other members are: Kathleen Leyden of the Maine Department of Agriculture, Conservation and Forestry; Suzanne Miller of the Department of Environmental Protection; Jon Lewis of the Department of Marine Resources; Susie Arnold of the Island Institute; Bill Mook of Mook Sea Farm in Walpole; lobsterman Richard Nelson; Mark Green of Basket Island Oyster Co.; Meredith White of Bigelow Laboratory for Ocean Sciences; oceanography Professor Larry Mayer of the University of Maine; and oceanography and biogeochemistry Professor Joseph Salisbury of the University of New Hampshire. Lawmakers on the committee include Rep. Wayne Parry, R-Arundel, and Rep. Joan Welsh, D- Rockport. A Republican senator on the panel has yet to be named.